Cool and refreshing, with no artificial colours or flavours! Blend watermelon, honey and lime juice together until smooth. Pour mixture onto a flat tray and freeze until solid, about 4 hours. 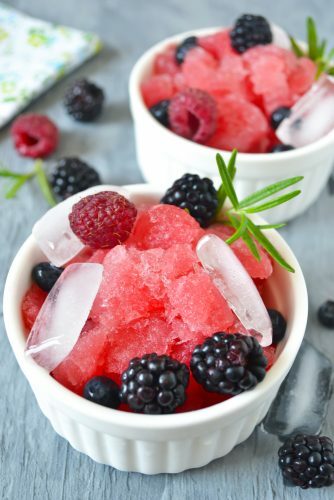 Fork frozen mixture from tray in to small bowls, serve with fresh berries.